This list of 130 names was compiled by Prestonian Lecturer, Granville Angell, Lord Cannock in 2006. 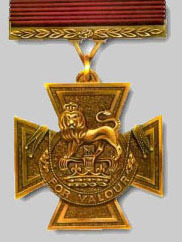 In 2017 he published Volume of Valour, a weighty tome containing biographies and additional information on 178 freemasons who had been awarded the Victoria Cross. Unfortunately, the press run was only 125 copies, most of which were either donated or sold to Grand Lodges around the world. The full list of names is not available online. VC: 15/12/1899, Colenso, South Africa. BELL, Edward William Derrington VC, CB. Lodge: St. Pauls Lodge No. 12 now No. 374, Montreal, Canada, under English Const. Lodge: Himalayan Brotherhood Lodge No. 459, Simla; Lodge of Industry & Perseverance No. 109, Calcutta. Lodge: Bulwer Lodge of Cairo No. 1068, now at Slough, Bucks. Lodge: Concordia Lodge No. 2685, Ermelo, Transvaal, South Africa. Lodge: Gogeldrie Lodge No. 558, United Grand Lodge of New South Wales. 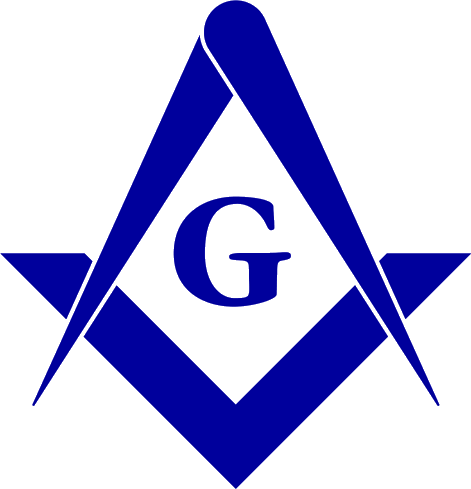 Lodge: Mason for over 20 years, Lodge not yet known. Private (Captain) 33rdBn. (New South Wales), Australian Imperial Force. Lodge: Wanderers Lodge No. 1604, London, Naval & Military Lodge No. 3678, Norwich. CLARK-KENNEDY, William Hew, VC, CMG, DSO+Bar, ED. Lieutenant Colonel, 24thBn, Quebec Regiment (Victoria Rifles) Canadian Expeditionary Force. Lodge: Leinster Lodge No. 387 (Irish Constitution) Malta. Born: 25/1/1852 at Drumcondra, Co. Dublin. Lodge: St. Brendans Lodge No. 163 (Irish Const. ), Parsonstown; Kindred Hope Lodge No. 594 (Scottish Const. ) Nusseraba, R.A. No. 186 on roll of Supreme Grand Chapter of Scotland. Was District Grand Master for Punjab 1909 to 1914. Company Sergeant Major (Lt. Col. ) 2ndBn., The Rifle Brigade. Lodge: St. Michaels Lodge No. 1273, Sittingbourne; Saedinburna Lodge No. 6278; St. Michaels Chapter No. 1273. In 1951 he was Grand Sword Bearer of United Grand Lodge of England. Lieutenant (Lt. Colonel), 2ndBn., Kings Royal Rifle Corps. Lodge: West Indian Regimental Lodge No190; West African Regimental Lodge No. 157. Lodge: Ionic Lodge No. 25 (was 798), Toronto; Friendship Lodge No. 345 (now Royal Lodge of Friendship No 278) Gibralter; Calpean Chapter No. 278 Gibralter. Lodge: Samson Lodge No. 1668, London; Lodge of Fraternal Unity No. 7330, London. FAIRFAX, Frederick William, G. G.
Detective Constable (Det. Sergeant) Metropolitan Police. Lodge:St. Marys Caledonian Operative Lodge No. 339 Scotland; Surrey Hills Lodge No. 7494 Croydon, England; Clachnacuddin Chapter No. 540. Lodge: Household Brigade Lodge No. 2614 London; New Zealand Lodge No. 5175 London; Westmimnster Lodge, Wellington, New Zealand. Lodge: Kawatiri-Westport Lodge No. 152 NZ. Const. Westport, South Island; Scinde Lodge No. 5 NZ. Const, Napier, North Island; Taia Lodge No. 229 NZ. Const. Wellington. Lodge: Roll Call Lodge No. 2523 Twickenham; Alma Lodge No. 3534 Twickenham. GOLDSWORTHY, Leon Verdi, GC, DSC, GM. Died: 1994 Perth, W. A.
Lodge: Lord Charles Beresford Lodge No. 2404, Chatham; Aspiration Lodge No. 6086, London; Royal Naval Lodge No. 59 London; Chilton MMM No. 1538, Bedford. Sergeant (Lieutenant) Wellington Battalion Infantry Regiment, New Zealand Expeditionary Force. Place:- Gallipoli, one of the 6 VCs before breakfast. HALLOWES, Rupert Price, VC, MC. Civilian Armaments Instructor (Wing Commander) Royal Air Force. 1st Class Air Mech. (Fl. Lt. ) Royal Air Force. Lodge: Mayo Lodge No. 1406, Secunderabad, India; Alexandra Lodge No. 1065, Jahalpur, India; United Services Lodge No. 2735, Bangalore, India. Died: 24/4/1917 at Fountaine-les-Croiselles, France. Lodge: Zetland Lodge No. 756 Malta (Now 515 meeting at Aldershot), Lodge of the Nine Muses No. 235, London; Empire Lodge No. 2108, London. Sergeant, 20thBn, (2nd) The Canterbury Regiment, New Zealand Expeditionary Force. Lodge: Hawera Lodge No. 136 Greymouth, New Zealand Constitution. Died: 27/3/1918 Nr. Moyenneville, France. Lodge:Coogee Lodge No. 322, (Amalgamated with Lodge John Williams No. 148), Sydney. Lodge: Old Melburnians Lodge No. 317; Berwick Lodge No. 359; Bolton Memorial Lodge No. 758; all Victoria Constitution. Lodge: Morning Star Lodge No. 810 Lucknow, India, now No. 7 Grand Lodge of India. Lodge: The Pilgrims Lodge No. 738 (Scottish Constitution) (Transvaal, Orange Free State and Northern Cape) No. 738 Lydenburg, Transvaal, South Africa. Sergeant, 2ndBn New Zealand Rifle Brigade, New Zealand Expeditionary Force. Lodge: Taranaki Lodge No. 240, Hawera, New Zealand; Heretaunga Lodge No. 73, Hastings, New Zealand. Lieutenant, 102nd Bn., 2nd Central Ontario Regiment. Lodge: Lodge of Harmony and Industry No. 381, Darwen, Lancs. Lodge: Malwa Lodge No. 1994, Mhow, Bombay, now No. 87 Indore, Grand Lodge of India; Stringuil Lodge No. 2186, Chepstow, Monmouthshire, Royal Gloucestershire Lodge No. 839, Gloucester. Lodge: Khartoum Lodge No. 2877, Khartoum, now London; Lodge Jamrud No. 4372, Punjab, now London; Stewart Lodge No. 1960, Rawalpindi, now London; Derajat Lodge No. 3206, Punjab, now London. Lodge: Mount Hermon Lodge No. 7, Vancouver GL of BC. Lodge: Lodge of Industry & Perseverance No. 109, Calcutta, now London. T/Captain (Lt. Colonel), 2nd Canadian Mounted Rifles, 1st central Ontario Reg't. Lodge: Apollo University Lodge No. 357 Oxford. Lodge: Apollo University Lodge No. 357, Oxford; Rose Croix No. 40, Oxford University. Lodge: West Essex Lodge No. 2651 , ; Chigwell Old Bancroftians Lodge No. 5619, London; London Holy Royal Arch Marquis of Dalhousie Chapter No. 1159, London. Died: 9/9/1914 Killed in action Sablonnieres, France. Lodge: St. Jamess Operative Lodge (Metropolitan) No. 97, Edinburgh. REEVES, James Arthur, GC, Lloyds Medal for Bravery at Sea. Lodge: Kitchener Lodge No. 2998, New Delhi, India, now meets in London. Died: 23/2/1916 Died: of Wounds at Le Touquet, France. Lodge: Khyber Lodge No. 852 (Now 582) London; Earl Roberts Lodge No. 3151, London; London Kings Colonials Lodge No. 3386; Aldershot Army and Navy Lodge No. 19871; Border Chapter No. 852, now 582, London). Senior Grand Warden United Grand Lodge of England 1895. Lodge:St. Lukes Lodge No. 546, Dum Dum; Capestone Mark Lodge No. 80, Calcutta; Ardvorlich Mark Lodge No. 219 Rawalpindi. Lodge: Authors Lodge No. 3456 London; Authors Holy Royal Arch Chapter No. 3456. Lodge: Bulwer Lodge of Cairo No. 1068, now London. Sergeant, 2ndBn., The West Yorkshire regiment. Major (Lieutenant Colonel) 32ndBn., (S. Australia & W. Australia) Australian Imperial Forces. WHITTLE, John Woods, VC, DCM. Lodge:City of London Rifles Lodge No. 5606; Peckham Chapter No. 1475, London. Lodge: St. John & St. Pauls Lodge No. 349, Valetta, Malta (Confirmed Initiated in Lodge 349); Invicta Lodge No. 2440 Chakrata, Bengal (Confirmed Passed & Raised in Lodge 2440); Mooltan Lodge No. 1307 Multan, India; Lydda Lodge No. 4613, Sarafand, Jerusalem; King Solomons Quarries Lodge of Mark Master Masons No. 828 near Jerusalem. Died: 22/1/1964 (Square & Compasses emblem on headstone).